Tiger Rear Ends cutting-edge technology offers the highest-quality strength-to-weight ratio rear end. 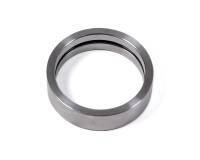 Check out the Recently Listed Axle/Hub Seals . Check out the Recently Listed Quick Change Fastener Kits. Pit Stop USA is The Online Motorsports Superstore! We feature Quick Change Rear Ends at low everyday prices. Check out the Recently Listed Yokes. Pit Stop USA is The Online Motorsports Superstore! Tiger Rear Ends has combined years of experience and cutting-edge technology to design the highest-quality strength-to-weight ratio rear end possible. 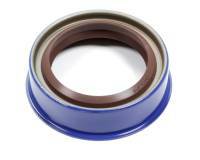 Tiger Rear Ends design engineers worked with major seal and bearing manufacturers to develop a kit to reduce horsepower-robbing friction. All of these efforts are made to give Tiger Rear Ends customers the edge on the racetrack. Every Tiger Rear End is shipped "Race Ready" and come standard with Aluminum 6 Rib Bells, HD Gear Cover with Bearings, Heat Treated Jackshaft, Pinion Nose Roller Bearings, Posi-Lock Nut Assembly, Viton Yoke Seal and 4:86 Ring and Pinion. Tiger Quick Change Rear Ends have quickly become the number one choice of racers everywhere. 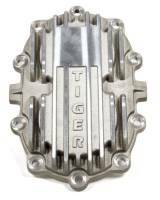 We feature Tiger Closed Tube Rear Ends at low everyday prices.